HEC Ranking of Universities 2013 has been announced, the evaluation criteria was based on Quality and Research. The ranking has been announced in following categories for countrywide universities. I would be mentioning top three universities in the ranking while rest can found on official HEC page. 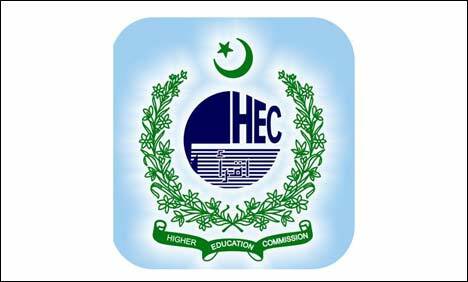 In this category, HEC has further divided the universities based on their small, medium and large size according to number of students enrolled. NUST (Islamabad) has secured top position among large size universities. While University of the Punjab (Lahore) ranked 2nd and University of Karachi (Karachi) as 3rd. None the less, COMSATS (Islamabad) has gained 4th position in the HEC Ranking of Universities 2013. In medium sized universities, Quaid-e-Azam University (Islamabad) is ranked 1st, followed by Government College University (Lahore) at 2nd place and National University of Computer and Emerging Sciences (NUCES) Islamabad at 3rd. In small sized university, the 1st place is secured by University of Faisalabad (Faisalabad). while 2nd and 3rd place is secured by Beaconhouse National University (Lahore) and Pakistan Institute of Development Economics (Islamabad). Pakistan Institute of Engineering & Applied Sciences - Islamabad (PIEAS) is ranked as top university in its category while University of Engineering and Technology (Lahore) and Ghulam Ishaq Khan Institute of Engineering Sciences & Technology (Topi) ranked 2nd and 3rd respectively. The most popular category of universities and ranking is once again rightly deserved, the competetion between LUMS and IBA (Karachi) is won by Lahore University of Management Sciences (LUMS) Lahore and ranked as top university among all business schools. Institute of Business Administration (IBA) Karachi secured second place while 3rd ranked one is Sukkur Institute of Business Administration (Sukkur). Among medical institutions, Agha Khan University (Karachi) again secured first place in HEC Ranking of Universities 2013. While University of Health Sciences (Lahore) and DOW University of Health Sciences (Karachi) secured 2nd and 3rd place respectively. University of agriculture (Faisalabad) ranked 1st and 2nd and 3rd places are secured by Pir Mehr Ali Shah Arid Agriculture - University Rawalpindi and University of Veterinary & Animal Sciences (Lahore). These rankings seem to be quite justified, top positions are secured by the universities rightly deserved. This ranking would help universities in improving their performances while students would get help while making their choice of university for admission.